The Shure PSM1000 In-Ear Monitor System is the most requested system on artist riders. AV Vegas Audio Productions Department carries over a dozen of these great systems. 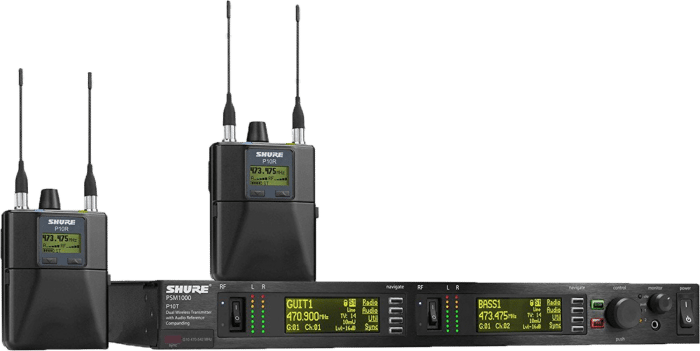 We rent Shure In-Ear monitor systems. Our Shure PSM1000 In-Ear monitor systems are requested by the biggest name artists in the world. We also rent Sennheiser In-Ear monitor systems. AV Vegas specializes in all types of pro audio and live sound gear. ©1986- 2019 AV Vegas. ® All rights reserved. Want us to call you? Fill out our contact form and we'll get right back to you!